Caramel And Chocolate Chip Cookies. I am still getting used to our new stove and oven in which can be a adventure all on its own. Just like making these cookies. My first batch burned, so had to put the top rack to the highest rack in which the next batch came out good. Here is another family favorite cookie, in which you will want to hide a few as they won’t last long. – Combine sugar, brown sugar, flour, baking soda, baking powder, and salt, mix well. – Add butter, eggs, vanilla, and mix well. – Add in caramels, and the chocolate chips and mix well. 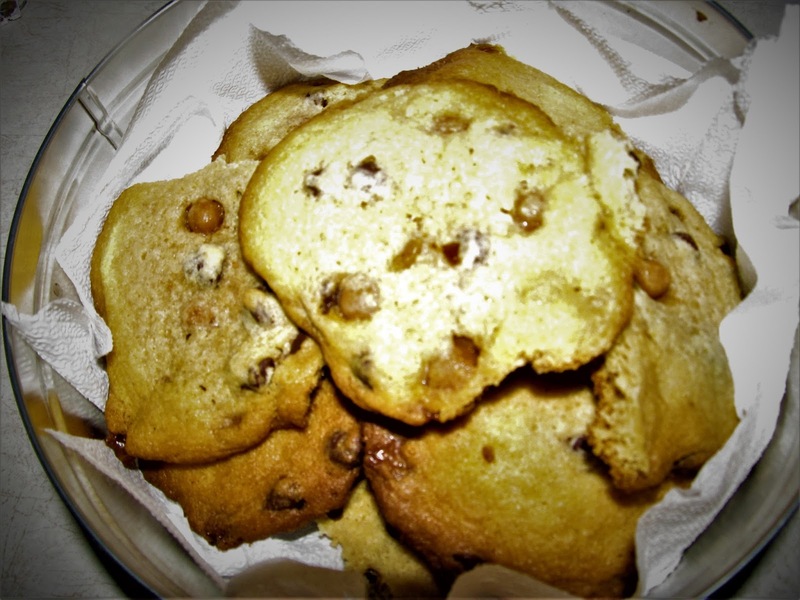 – Take small ice cream scoop, to scoop out mixture and place on parchment lined cookie sheet. bake for 8-10 minutes, or until lightly brown. – Once you pull them from oven let cool for 5 minutes. Place on wire rack and make sure you keep an eye on them for they will disappear right before your eyes. Even the burnt ones disappeared. What can be something else to add to this recipe? Hi. I am searching your posts for the recipe. Those cookies look so delicious! I’ll have to make those soon. What new oven in March and broke now…oh oh!